For those who have never been to Arizona, they think it is all scorching desert populated by cowboys and cacti, certainly not a great place to go camping. However, it actually hosts some of the most spectacular campgrounds in the country. Although there is plenty of desert scenery to enjoy, visitors can find a highly diversified landscape within the state. 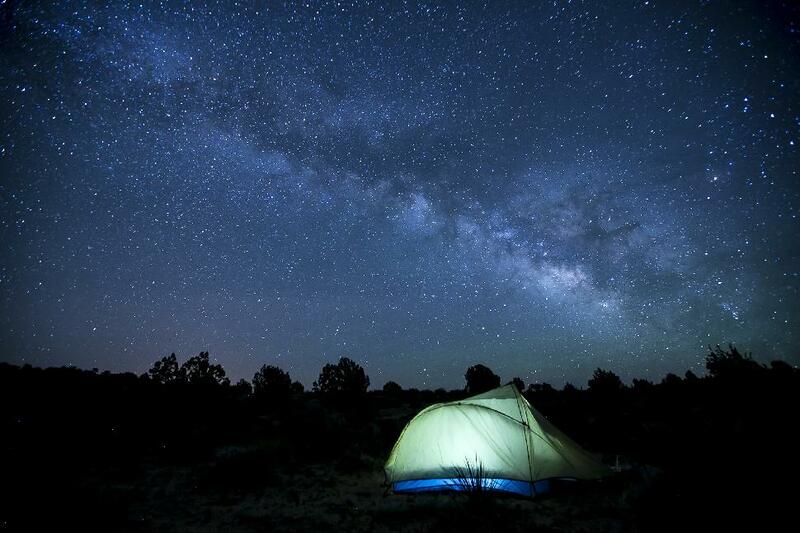 From the depths of the Grand Canyon to the alpine highland of the San Francisco Peaks, Arizona has a wide array of different surroundings to enjoy while camping there. The Lockett Meadow Campground is a bit like a surprise for those travelling to it. The road leading there travels through the desert, past the Sunset Crater and the Painted Desert before turning into lush greenery as the road heads into the mountains. Arizona certainly is the last place one would expect to find such a peaceful meadow just a few miles from the barren desert. Lockett Meadow Campground, perched right up against the San Francisco Peaks, might just be the best campground in Arizona. The camping area is roughly the size of a football field and it is all in a lovely grassy meadow that one wouldn't expect to find in iconic deserts of the state's usual imagery. The campground is surrounded by beautiful Aspen trees and deer, elk and the occasional bear make for frequent night-time visitors. While the campground isn't exactly on top of a mountain, it is pretty close with its elevation of 7,000 feet. Since it is relatively high up the campground also provides access to the Inner Basin and Mt. Humphreys (12,633 feet), Arizona's high point. The area is also a popular hot spot for mountain bikers, so there is a fun activity for any sort of outdoor adventurer. Toroweap Campground is out there in the backcountry on the edges of Grand Canyon National Park. This means that it will take some additional effort to get to, but that will also keep the crowds down. While the views across the canyon in this campground area aren't endless, it does host some of the best views of the Colorado River that you will ever see. Just a few feet from the camping area, visitors can stand or shimmy up to the edge and be looking at the river hundreds of feet below, 1,200 feet below to be exact. There are not a lot of trees around the camping area so it can get quite hot, but this is also a popular spot for stargazers and those looking to watch meteor showers. Since it is so remote there is almost no light pollution, making the stars absolutely breath-taking. There are no formal trails along the campground, but hikers can pretty much trace the rim of the Grand Canyon for miles. Aside from the canyon area, there is also a lot of great desert wilderness to explore. Marble Canyon is one of the least utilized campgrounds in Arizona. 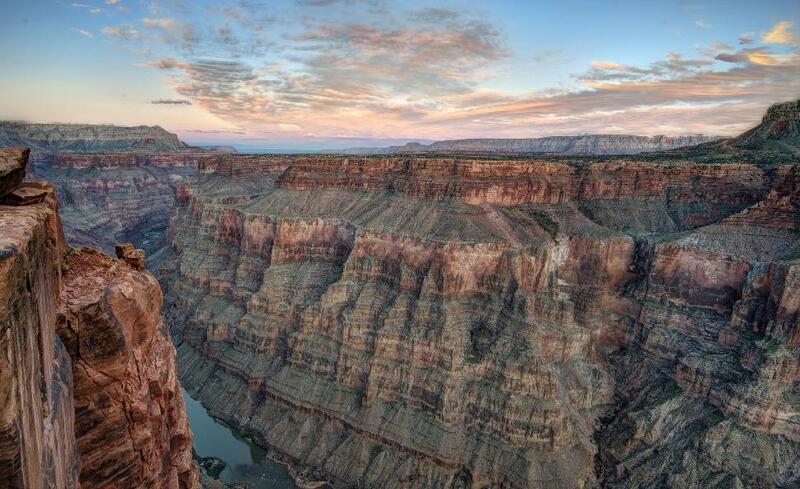 After all, it sits next to the state's big gem, the Grand Canyon. 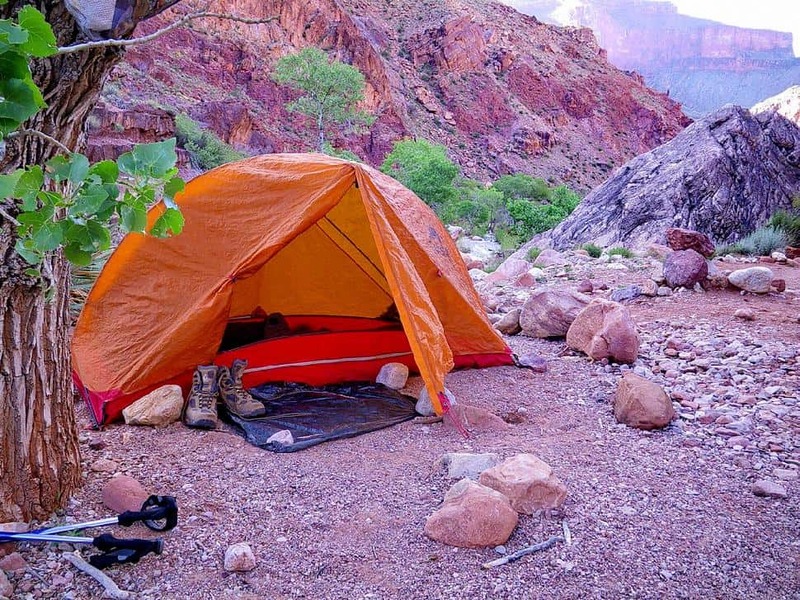 However, the Grand Canyon has its own great campgrounds so Marble Canyon is often forgotten. Marble Canyon is a gorge that actually turns into the Grand Canyon, though it is not considered part of it. After the road dead-ends into the canyon, the campground is located nearby on the rim. Many of the sites within overlook the gorge below so there is no complaining about the view at this campground. This is an excellent starting point for a day full of adventure. Trails lead down into Marble Canyon where visitors can go their whole stay without hearing a jet or a car. The Colorado River runs through the bottom of the gorge, but the water itself is rarely approachable due to the cliffs. While the canyon isn't quite as grand as that other one, there is certainly no lack of places to explore within it. Even after the day is done and hikers return to their campsite, they get to watch the sun set and other magnificent desert stars appear right from their campsite on the lip of the chasm. Another perk of the Marble Canyon Campground is it is located nearby House Rock Buffalo Ranch so it is likely you will spot a few buffalo when travelling there and back. They have been known to cross in front of cars frequently, so keep those eyes on the road. For those looking for seclusion while in Arizona, the Sierra Ancha Wilderness is one of the least known and least visited areas in the state. The Workman Creek Campground barely qualifies as a campground as it is so small and so primitive. However, the lack of an organized campground is the attraction to many campers. Visitors find the natural campsites that are widely spread out alongside the babbling brook that is Workman Creek to be a refreshing experience compared to being crammed into the wilderness with hundreds of neighbors. What only makes the natural ponderosa pine scenery better is the large number of wildflowers that grow along the creek bed. This not only adds a dash of color to the greenery, but it attracts quite a number of hummingbirds, a treat that not everyone can experience everywhere. Aside from lounging and enjoying nature, there are a number of hikers near the campground. One such can't miss trail is leads to the Workman Creek Falls that plunges over 100-feet to the small pong below. It is an excellent trip on those hot days. With such a robust and alluring name like Cochise Stronghold in the Dragoon Mountains, how could anyone ever pass it up? It sounds like a place where knights and lords are readying themselves for the battle to end all battles. However, the "stronghold" refers to the Chiricahua Apaches definition of the word where native warriors could see anyone approaching from any direction. The campground also gains its name from the Apache chief of legend Cochise who requested on his deathbed to be buried in the rugged terrain that served as his sanctuary. That terrain wasn't this campground, but it was much like it. There is a plaque at the entrance of the campground that commemorates his death. The campground is nestled in the Dragoon Mountains in southern Arizona, surrounded by trees to protect from the intense Arizona heat; however this also prevents some great stronghold views. Campers shouldn't be too sad; the great panoramic views aren't that far away. There a number of trails that head into stronghold spots within the Dragoon Mountains, some of them are right near camp while others provide an excellent journey to get to. This makes a stay at the Cochise Stronghold always full of adventure.